I just dug this up. It’s what I handed back students after a “pre-quiz” (i.e. a quiz at the end of the unit, but before their quiz). 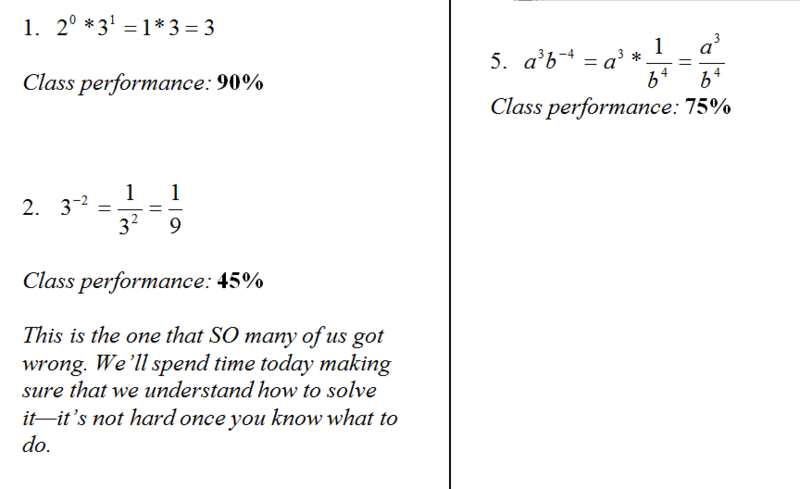 I had forgotten that during that first year I handed back these things with class performance percentages on them. Anyway, the way those percentages break down is interesting to me. Is it surprising that kids had so much trouble with negative exponents in numerical context, but had such less trouble with variables?